Shop our new Joules collection! 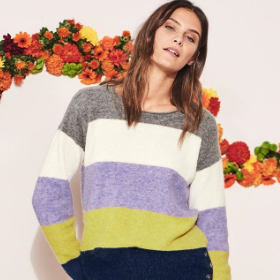 From striking stripes to fabulous florals, there's something for everyone. Shop our new collection for all the family. You will see that the URL at the top of the page says “Not Secure”. This only refers to our product pages. When you press “Proceed to Checkout” this message disappears and the reassuring padlock symbol appears. Whilst we appreciate that the message on our product pages is off-putting, we can assure you that your personal data and payment information is safe. From 24th July 2018 Google started marking any web page using the older http rarther than the new encrypted https as “Not Secure”. To our (and your) frustration, this message appears on our product pages due to our ecommerce provider Cybertill failing to upgrade their software. We have had many broken promises from Cybertill that it would be done but we are still waiting. Edge of the World offers a wide choice of relaxed fashionwear for both women and men. 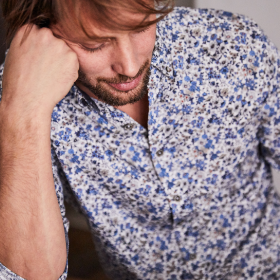 We look for interesting patterns, prints, textures and colours, combined with great designs and style to bring you the best from much loved established brands and new labels for something more unusual. 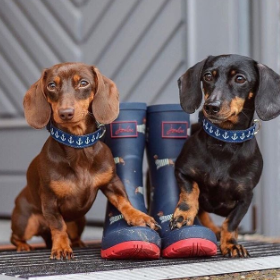 Whether you are out walking the dog or having a leisurely lunch at a country pub, we have the perfect casual and functional clothing, footwear and accessories. Our brands include: Adesso, Animal, Brakeburn, Fransa, It’s a Dog’s Life, Joules, Lily & Me, Numph, Old Guys Rule, Remonte, Rieker, Seasalt, Tamaris, Thought, Weird Fish, White Stuff, Wrangler and many more.